Try our magazine for FREE. Discover our exclusive and unique content filled with beautiful imagery, inspiring interviews and useful information. Our magazines are designed to be collected and treasured. We pay special attention to quality – in photography, styling and writing. Our mission is to inspire you to find your own purpose and reach your potential. 1. Our cover story is about the journey of an artist, Nicola Taylor, who – after years of chasing her career in the City – decided to get off the hamster wheel and set on a new path into the world of creative photography. 2. 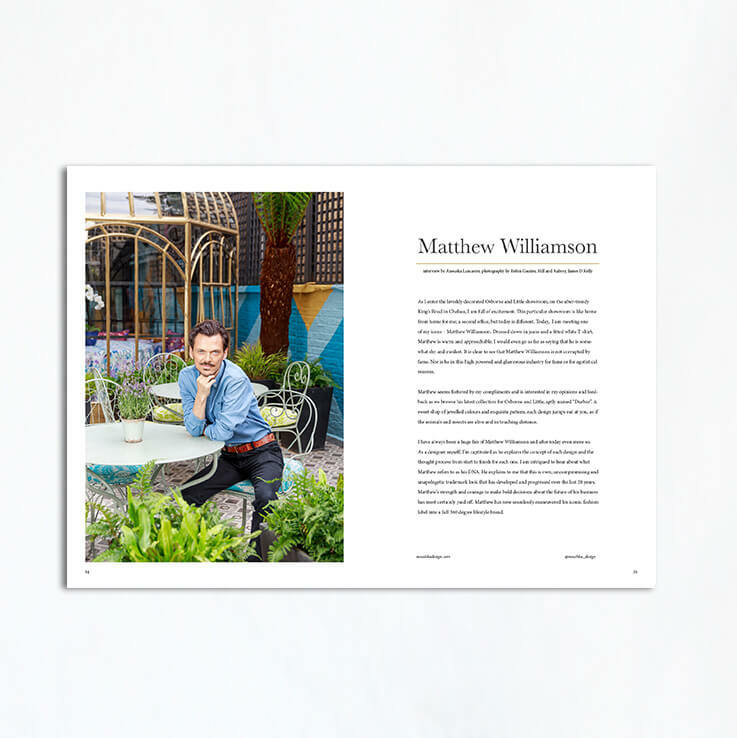 We interview Matthew Williamson about his mission to become a unique lifestyle brand, from fashion to interiors, products to consulting and much more. 3. We take a peek into the home of Grace Fodor, the founder of cult beauty brand Studio 10. 4. 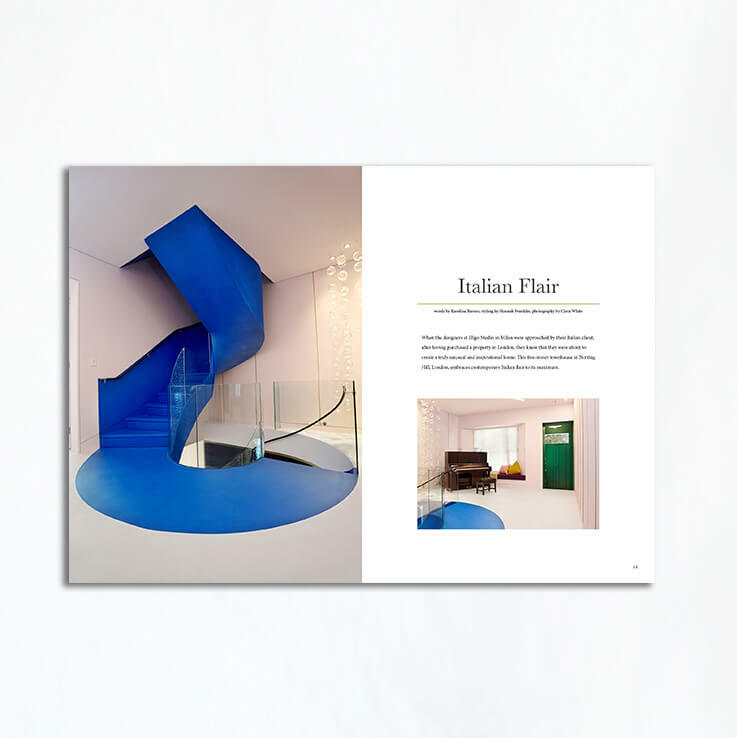 We also show you a very unusual home in London, which is full of personality, sophistication, colour and Italian fair. 5. We explore the “New Opulence” in our wardrobes through textures such as embellishments, jacquards, brocades and velvets but giving it a contemporary twist. 6. We talk to Kim Winser, OBE about her fashion label Winser London and her mission to inspire women to be happy by being themselves. 7. We express our thoughts on seasonal makeup colours that are classy and chic. 8. We interview Grace Bonney, the founder and editor-in-chief of Design*Sponge, about women in business and her new book – In the Company of Women. We talked about the concept and mission of this book and the business lessons she learned on the way. 9. We include a healthy option, all veg pizza recipe that is so easy to make and still tastes great too. 10. 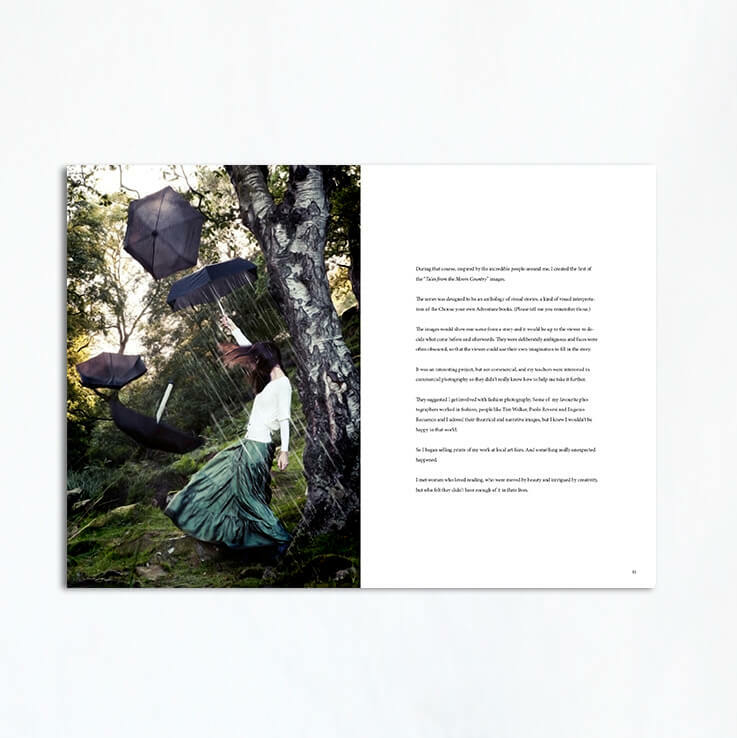 We also include “Editor’s Black book” – must have resource pages featuring emerging British lifestyle brands you probably haven’t heard about. This offer is for the digital version of Volume 1. After filling out your details, you will receive your digital copy via email. If you wish to purchase the print edition, click here. 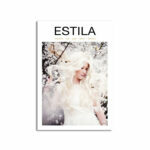 Estila magazine is a luxurious product printed on a beautiful paper, which you won’t ever want to part with.